The structure of the program includes small group instruction to support and improve reading skills. Additional interventions focus on individual student needs, including extra guided reading or phonics/word study practice. Reading assessments are given on a regular basis to monitor students’ progress in reading fluency and comprehension throughout the school year. Progress monitoring helps the reading team determine which skills the students have improved upon as well as the specific areas in which additional practice is necessary. 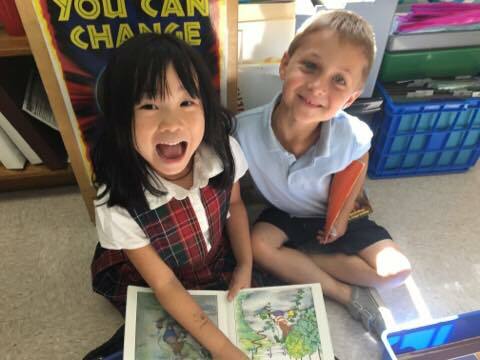 In addition to the formal reading interventions, the St. Joseph School Reading Team makes a special effort to find books that engage each student based on their personal interests and reading level. Daily lessons also include literacy-based activities and games to fully engage and develop the reading skills and strategies for all students. Create an overall feeling of excitement for reading. Help students make real-life, personal connections to characters or events in the book. Connections can be made in a variety of ways, including hands-on activities, critical thinking scenarios, and reader’s theater skits taken from scenes in the book. Fortunately, the students’ excitement is contagious and continues to draw more and more students to join the after school book clubs each semester. It is truly a pleasure to see so many students find the joy and excitement in reading through these reading clubs offered at our school. 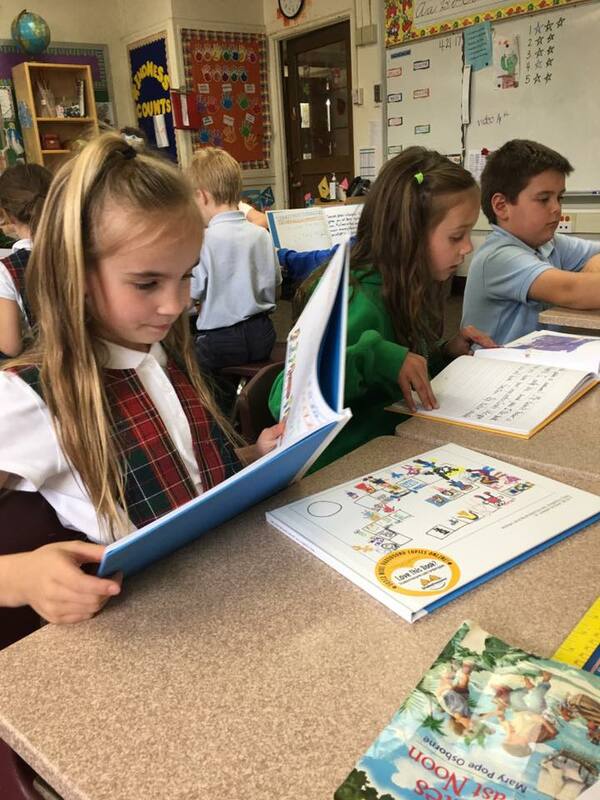 Along with the formal reading interventions, personalized and engaging lessons, the St. Joseph School Reading Team also collaborates with classroom teachers to develop the specific skills that apply to their weekly lessons in class. The goal is to increase the student’s confidence with both their work in class and at home. While the team is especially proud of the reading program they offer at St. Joseph School, they continue to strive to find new ways to assist and engage their students.